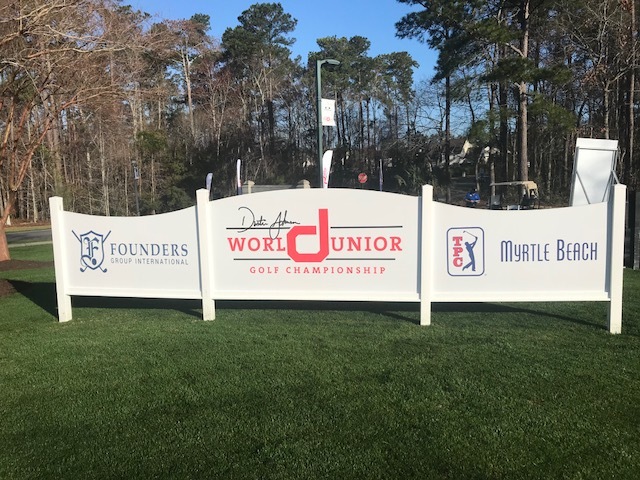 Once again, the Conder team managed the production and installation of the signs and graphics for the Dustin Johnson World Junior Championship held annually at the TPC Myrtle Beach. All aspects of signage were installed prior to the junior golfers tee off for the weekend event. 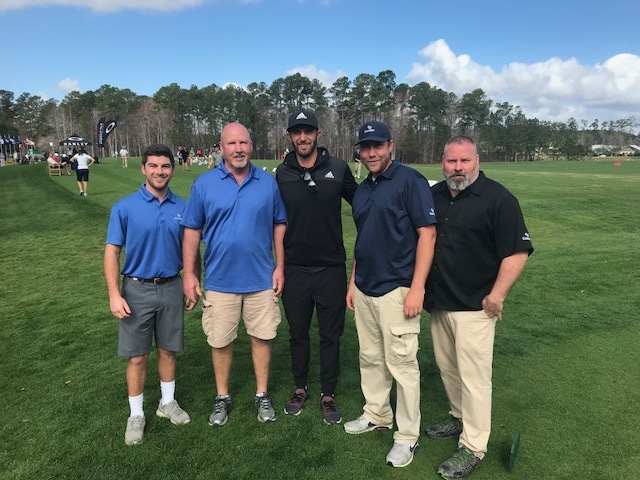 Dustin Johnson even took time to congratulate the Conder staff on their efforts to make the event a grand success. 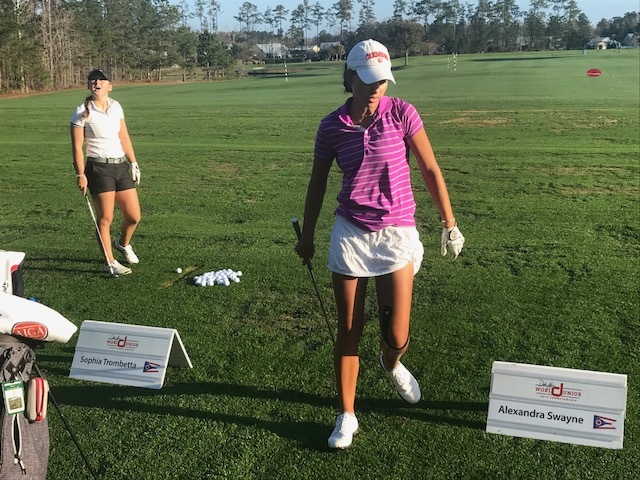 Johnson was in the Grand Strand this week to welcome the World Junior participants and to oversee the ground breaking of the new Dustin Johnson Golf Performance Center that will be the home of the Dustin Johnson Golf. When you say Hokie Stone in Blacksburg, VA everyone knows that is a rock that is found on almost every building on the Virginia Tech campus. Many times, the stone texture is wanted as an accent inside of buildings, but that comes with a big price tag. 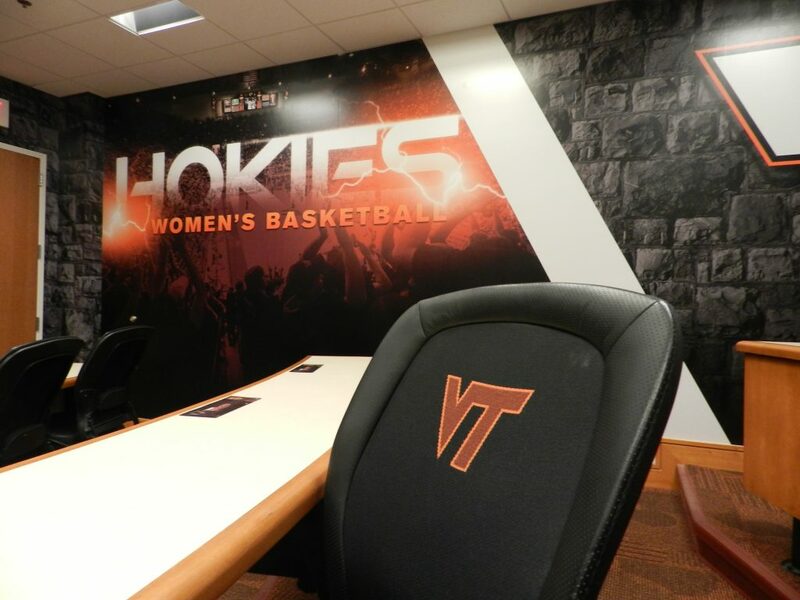 The athletic department has embarked on a multi year project to upgrade its facilities for its student athletes and to enhance recruiting… a simple way to promote the Virginia Tech athletic brand. And Conder has become a great resource to reproduce Hokie Stone as a printed vinyl that can cover just about any surface. The stone’s texture and varied color has been successfully captured by Conder and printed in several variations that always increases the WOW Factor for each venue that it has been applied. 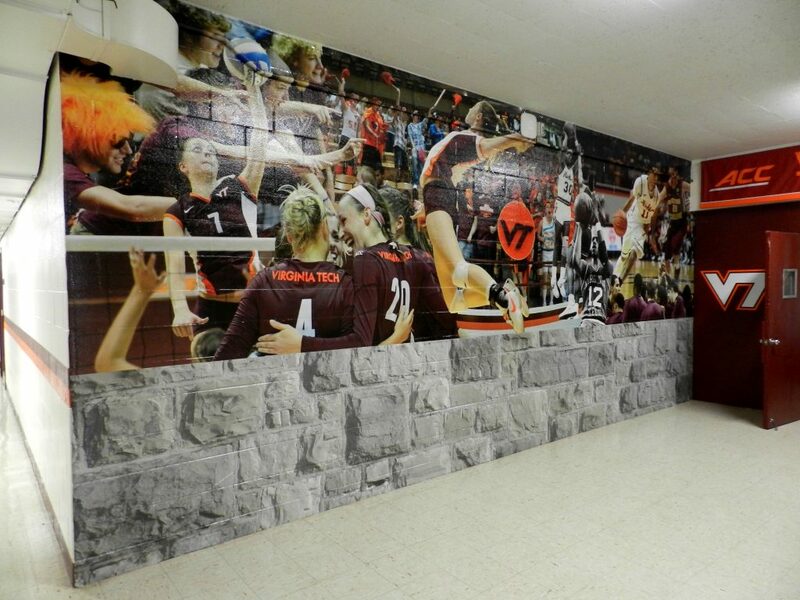 Printed on a quality 3M vinyl, the heat set material can transform a bland painted cinder block hallway or column that is a distinct Virginia Tech experience. 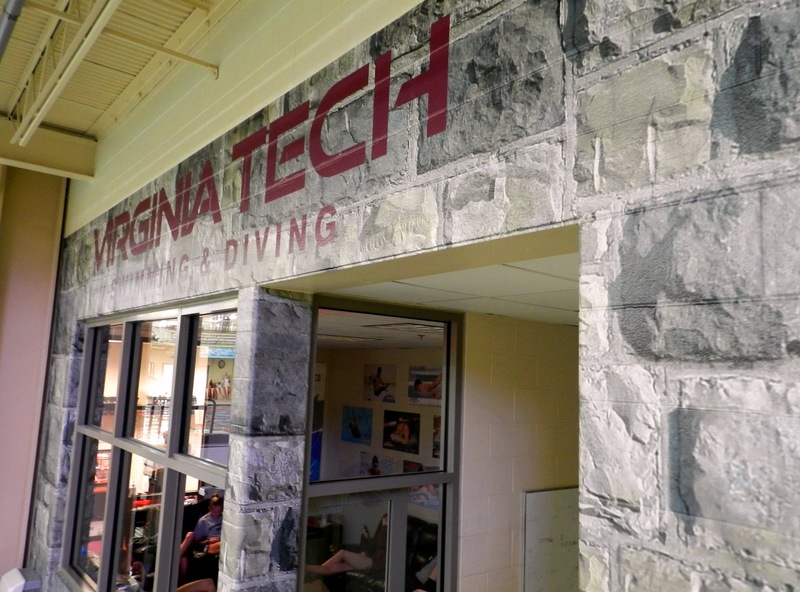 From doorways and corridors to locker rooms and entrances, the printed Hokie Stone has become a standard at athletic venues. 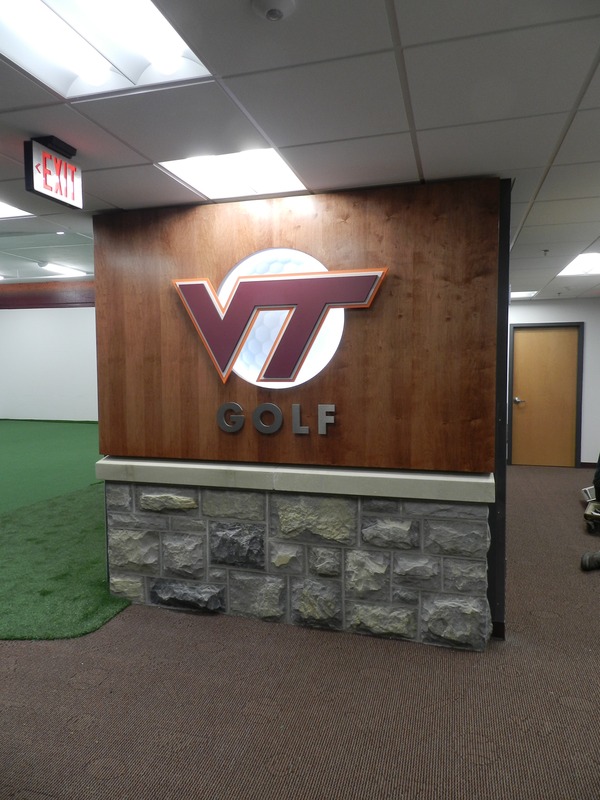 Conder has been responsible for most of the Hokie Stone transformations and takes pride in its ability to create the experience that defines the Hokie experience. 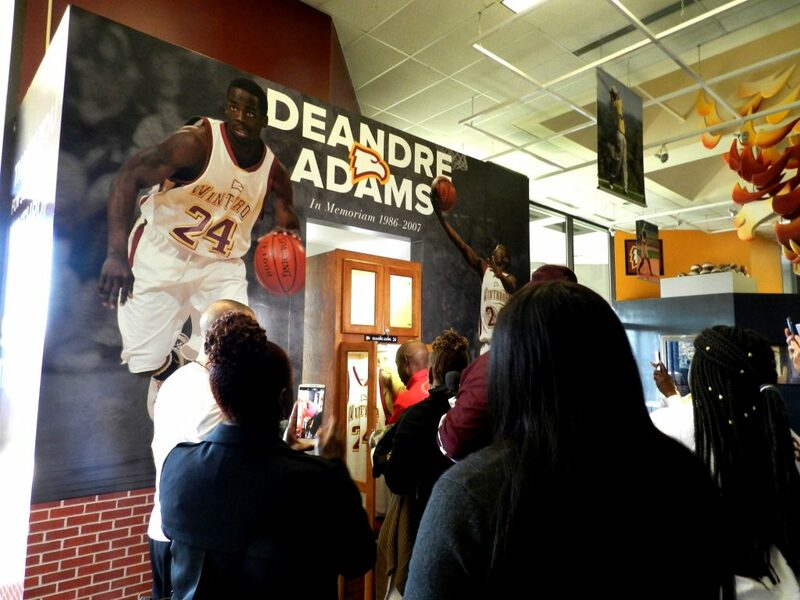 Conder was recently privileged to help create a lasting memorial for DeAndre Adams and Winthrop University Athletics. 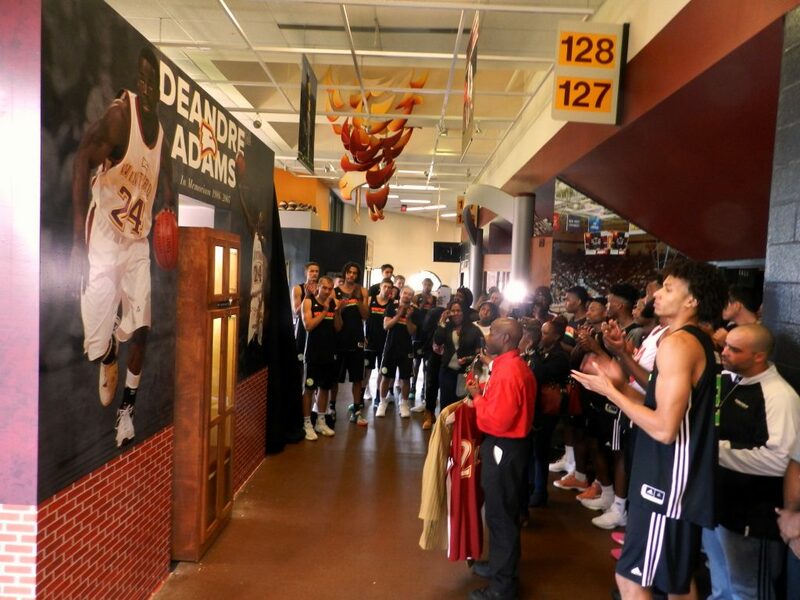 Adams was killed in a single car accident near his home in Atlanta and the university promised to honor him permanently at the Winthrop Coliseum. Working with the athletic staff and AD Ken Halpin, Conder designed and created a tribute that was centered around DeAndre’s original locker. 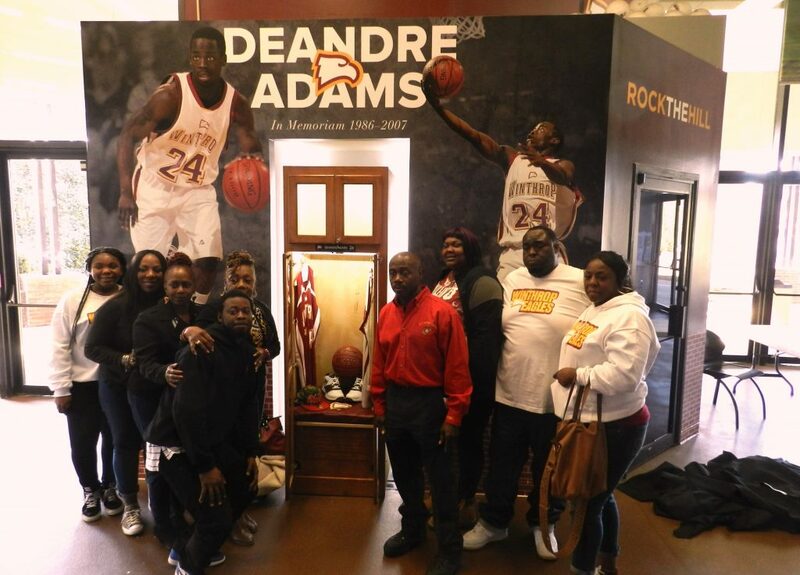 Located in the lobby of the Coliseum, the locker was placed in a lighted niche with surrounding graphics to pay honor to DeAndre as a Winthrop Eagle. The memorial was dedicated on November 10 and was attended by many of DeAndre’s family. 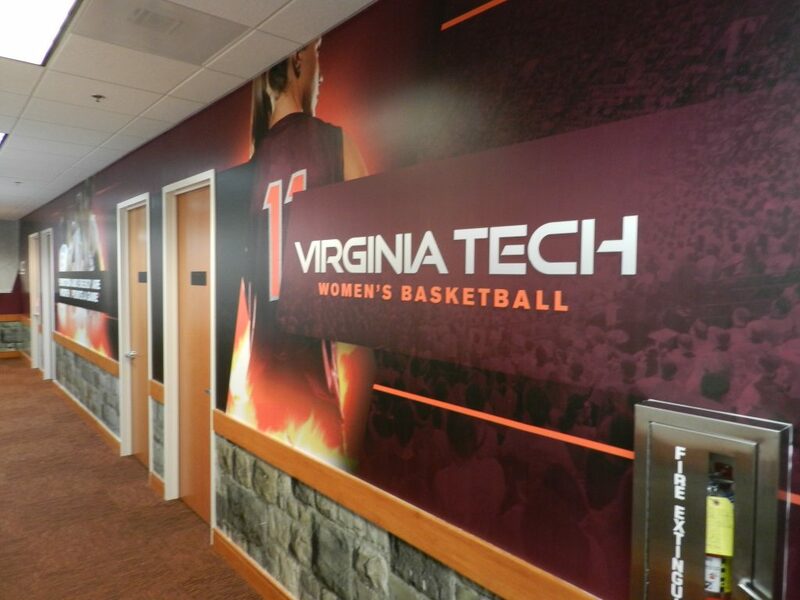 The wall was unveiled by members of the 2017-18 basketball team and Coach Pat Kelsey. Adam’s parents were quite moved and help to place their son’s jersey and other memorabilia in the locker for all to see. Conder takes pride in our being a part of this lasting tribute. 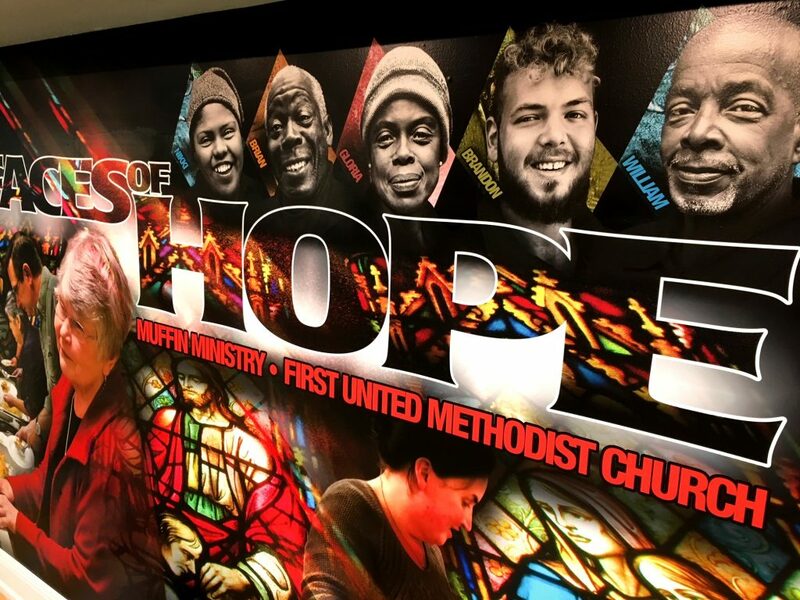 A dedication was held on Sunday at Charlotte’s First United Methodist Church and its Muffin Ministry. 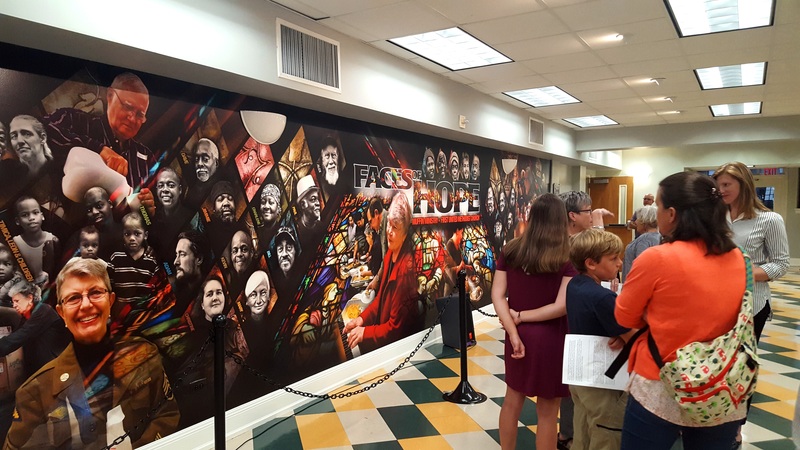 Conder is proud to have been a part of the effort, entitled “Face of Hope” that pays tribute to homeless and the program’s volunteers. 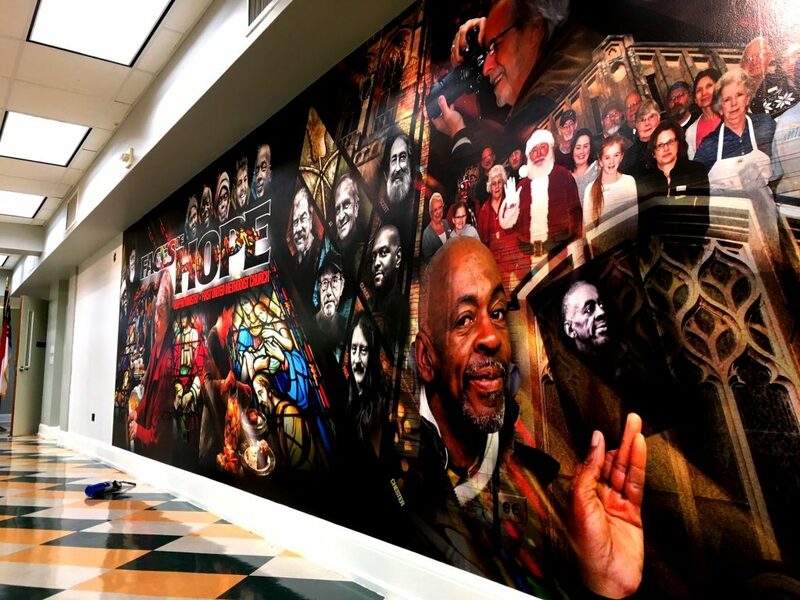 Working with photographer, Bill Guerrant and designer, Debbie Fincher, Conder printed and installed the 8’h x 30’w image in the church’s dining area… home to the Muffin Ministry. The moving tribute is testament to the church’s 7 year dedication to the “friends” that they serve every Sunday morning. In honor of Peace Officers Memorial Day, flags are to be flown at half staff for the entire day, Monday May 15th. Now, Therefore, I, John F. Kennedy, President of the United States of America, do hereby designate May 15, 1963, and May 15 of each succeeding year, as Peace Officers Memorial Day, in honor of those peace officers who, through their courageous deeds, have lost their lives or have become disabled in the performance of duty. I invite State and local governments, patriotic, civic, and educational organizations, and the people of the United States generally, to observe Peace Officers Memorial Day and Police Week in this year and each succeeding year with appropriate ceremonies in which all our people may join in commemorating law enforcement officers, past and present, who by their faithful and loyal devotion to their responsibilities have rendered a dedicated service to their communities, and, in so doing, have established for themselves an enviable and enduring reputation for preserving the rights and security of all citizens. DONE at the City of Washington this fourth day of May in the year of our Lord nineteen hundred and sixty-three, and of the Independence of the United States of America the one hundred and eighty-seventh.